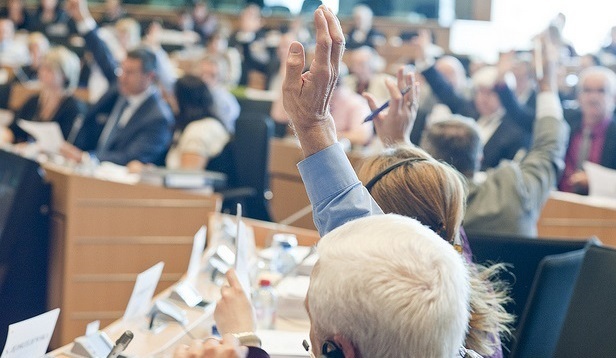 Next year’s European Parliament elections have become the talk of the town with pre-campaign campaigning taking place. It deserves our attention because of the important role the current European Parliament has played in the defence of refugee rights during its term. Unlike the Council and the Commission, it comes out of the broader political crisis on migration with some credit. Parliament as an institution, some political parties and some individual MEPs have defended the human rights of refugees and migrants in Europe and globally, and promoted rational and humane migration policies. Parliament is also standing up against the anti-democratic forces in Europe, despite their presence within Parliament itself. It has many faults, of course, but Treaty changes have gradually increased its power, with it now co-legislating in many policy areas, combined with budget-setting and its political role. It has used its powers to defend rights during the reform of the Common European Asylum System and in defence of European values. Thus the composition and the political positioning of the Parliament after 2019 matter a lot. A prominent topic is whether far-right nationalist parties will be able to increase their seats and whether they will be able to form one bloc. Both questions directly affect the amount of funding they receive and the number of important roles they will hold in the next Parliament. In much of the political debate, “populism” or “populist party” are inaccurate terms, deployed lazily or due to the lack of easy shorthand – or due to the lack of courage to name what is really the problem. For example, an article published this week on the topic categorizes as populist forces as diverse as Syriza (and the Greek Communist party! ), Sinn Fein, Fidesz and Lega, but does not refer to La République En Marche. This is really an article about the far right and far left, not named as such. Populism is an approach to politics, a method or at most a partial ideology based on direct appeal to the public, a claim to represent the public rather than the establishment or the elite. It is not necessarily undemocratic or even “bad”. The centre can also use populist tactics (En Marche and Ciudadanos are often not covered in discussions of populism despite following some of these approaches). For ECRE, the main concern is a group of parties which could be termed extremist-nationalists or if the term populist is to be used, it at least has to be qualified as “far right populism”. These parties are sufficiently similar to be grouped together: they are all anti-EU, anti-migration and anti-democratic. This is a distinct group and this is our target. They should also be the target of the mainstream left, right and centre. In terms of the European Parliament, this is recognised at every level: these parties self-identify as similar, work together in groups – or at least try to do so – and promote the same positions. There isn’t a group of “populists”. Despite their similarities, as nationalists they struggle to form pan-European alliances – but aim to do so for the election, with the Orbán-Salvini axis leading and volunteers such as Steve Bannon. No doubt their Russian backers are also gearing up their support machine by staffing their troll farms. If mainstream politicians accept the premise that migration is a problem to be solved, they are doomed from the start. The exhausting repetition of myths has totally distorted the debate. Myths like “None of these people are refugees” – in fact, the majority of those who arrived in Europe during the recent political crisis were refugees, with by far the largest number from Syria. Forced displacement is at record levels, and there is a brutal war going on in Europe’s “neighbourhood”. In any case, people without protection needs have human rights. Other myths are also too popular like “By welcoming refugees, Merkel made a terrible mistake and destroyed her career.” Sorry, but who is the Chancellor of Germany for an unprecedented third term? Or “return is simple and will resolve everything.” Or “doing deals with third countries to contain migration is in Europe’s interest” (in fact, cooperation with corrupt security forces leads to more forced displacement). How about migration is positive and inevitable? It will save Europe from economic decline. Or migration is the answer to Europe’s demographic crisis. There are multiple positive policies and recommendations out there. That if Europe hosts its fair share of refugees it is more likely to encourage protection standards in other regions and generate cooperation. There are many ways to offer safe and legal channels to protection for those entitled to it. Integration is the success story nobody talks about: there are multiple examples of how to support it. The media and NGOs are both guilty of exaggerating the success of the far-right populists, the former due to sensationalism; the latter due to fear. Headlines referring to “victories” and “tidal waves” of support, are followed by articles that clarify that the far-right party actually polled 10%. Let’s be clear: any political presence of these parties is a threat and should be resisted. But exaggerating their success makes them stronger and leads to self-defeating strategies, such as absorbing their views. It also legitimises support for them by making it seem normal when in most countries it is exceptional (Hungary is an outlier). These parties have always been part of the European political landscape – unfortunately. In a majority of European countries, their share of the vote is stagnant or decreasing or negligible. Their “successes” need to be understood: Orban’s electoral success is not because he has tapped into popular sentiment. It is due to a 10-year process of capturing independent institutions, allowing for unchallenged propaganda. The remaining opposition voices are now threatened with imprisonment under the latest law that attacks civil society. Where are the headlines saying that 85% of the electorate rejected the far right despite the political crisis on migration? Or Europe accepts millions of refugees but the far right fails to make gains? Or the European public strongly supports refugees despite political opposition? The combination of economic crisis, disillusionment with politicians and the dramatic arrivals of refugees by sea created perfect conditions for these parties. And this is the best they can do? OK, migration should not be taboo but it is permissible to speak about other issues too. The centre-left in particular has internalized the far-right’s critique that it doesn’t talk about migration. In reality, it sometimes seems that politicians talk about nothing else, a view shared by the public in many places (the electorate in Bavaria, for example, where in the run-up to the election a majority thinks there’s too much discussion of migration, according to polls). Migration takes up a massively disproportionate amount of political resources. Changing the subject is neither cowardly nor irresponsible. The more the EP election is about migration, the better these parties will do. The last two years have also shown that preventing migration is not the way to change the debate or to reduce the popularity of these parties. Changing the way that migration and asylum are discussed and approached would be better. It just needs a little more honesty and courage. Civil society could do more to support politicians that challenge the narrative that migration and refugees are the problem. The far-right often links migration and security. Mainstream politicians should not shy away from talking about security, just do that differently too. Refugees crossing borders is not the greatest security threat faced by people in Europe – that would be climate change; or lunatic strongmen leaders; or European governments that are in cahoots with organised crime. Here, rather than changing the subject, expand upon it. The parties of the far-right incite violence, social tension and instability – they are a security threat. It is possible to talk to and even work with far right nationalist parties. But it has to be clear what the red line is – at which point does engagement become complicity? Going into government with these parties and allowing them to control institutions is one example; letting them join coalitions is another. The EPP has stepped over the line and the support it gives Fidesz is complicity. Parties’ programmes for the election are under discussion now and party leaders and advisors must resist the misguided pressure to adopt anti-migration or anti-asylum positioning. The Centre-Left is not going to increase its votes by adopting the policies of the far-right; yet debate continues in the Party of European Socialists on doing exactly that. The “success” of the far-right is often relative and results from fragmentation of party systems. A party with 20% or even 15% might be the largest in a highly fragmented system. The main left and right blocs that dominated post-war Western Europe have lost voting share due to social changes. Post-Communist Eastern Europe saw its own rapid processes of political party (trans)formation and division. The EP elections will reflect this dynamic with polls showing that forming a majority will require not two but at least three political parties to join forces. The European People’s Party, the leading party for the last 20 years may no longer hold that position. Of course, the EP elections do not result in a government being formed as happens at national level but the “Spitzenkandidaten” system means that the candidate of the largest group should become President of the Commission. Well, sort of. That was what happened last time when the EPP as the largest party were able to secure the position for their candidate, Jean-Claude Juncker. This time, the European political parties are again naming their candidates for Commission President. But it is likely that a majority of three or more parties come together and jointly back a Commission candidate in combination with dividing up other posts. The named candidates may be dispensed with. This presents opportunities and challenges. European parties are good at coalition-building: all political systems in the continent work on the basis of coalitions because of the proportional electoral systems, with the exception of the UK (which is rapidly heading towards failed state status partly as a result of its electoral system). If the EPP accepts it is going to have to work with others, could it finally let go of Fidesz? Potential power-brokers should state that they will not form a coalition with the EPP if Fidesz remains part of it. This includes ALDE, the Greens but also Macron and his allies who have yet to join a political group (and have also rejected the Spitzenkandidaten system). The coalitions should be formed transparently, and unite on pro-European, pro-democratic themes, particularly if a far-right grouping is the largest single party. For example, if far-right parties unite as one group, with Salvini as their candidate, and then with around 20% hold the largest number of seats, they will claim that the parties uniting against them are acting against the will of the people. Murky deal-making will play into their hands. Instead, a group uniting as the pro-democratic majority could counter this. There are individual and factions within parties that are currently allied with the far-right who might be shamed into renouncing their support and joining or at least allying with other forces. Most obvious at the moment is Cinque Stelle in Italy. The ECR political group will probably cease to exist after Brexit, as it was formed – highly unwisely – by the UK Conservatives breaking away from the EPP. Without them, the other ECR parties will be up for grabs. (Although hopefully the EPP won’t try to grab Law and Justice). For the far-right populists, although they exploit the migration issue, their real agenda may be to destroy the EU, or to undermine democracy or to enrich themselves and their cronies. It is particularly unpleasant to see these parties now switching to a defence of European values, reinterpreted to mean the defence of the purely white, Christian Europe that never was and never will be. At the same time, there is a flourishing of new and positive pan-European forces. Some support reform of the EU but they still believe in it and are firmly internationalist. The mainstream parties should follow this line and re-affirm a vision of Europe as a place of cooperation, rule of law, democracy and human rights. Unity in diversity. With all the meanings of diversity. Those who care about human rights and democracy or Europe can’t “opt out”. It is self-indulgent inaccurate clap-trap to say that “all” political parties are the same or that “all” politicians are corrupt, and therefore it’s not worth voting. Sometimes these attitudes derive from apathy but often it is misplaced idealism, purism even – not wanting to vote for those who are seen as too compromising. If the far-right populists increase their seats in the European Parliament, there will be a tangible negative impact on the rights of refugees in Europe. If that’s not reason enough to resist, then just look at their impact on the rule of law and democracy.